*Two New York City men have been charged with murder in the shooting death of radio and TV personality DJ Megatron. Twenty-one-year-old William Williams and 20-year-old Richard Cromwell appeared in court Thursday. They were arrested Wednesday on charges of murder, robbery and criminal possession of a weapon. Their lawyers say they are not guilty. Police say the 32-year-old disc jockey, whose real name is Corey McGriff, was shot once in the chest while walking to a store near his home on New York’s Staten Island last month. 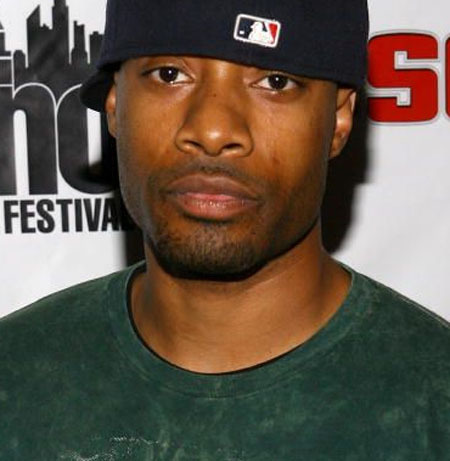 DJ Megatron worked on BET’s “106 & Park” music countdown series, mainly in a role interacting with its live audience. He also did some on-camera work for the show and BET’s website. What happened to our people – and don’t tell me it’s because of slavery – that story no longer applies………. @gurlfrand of course the white man made them do it…….GTFOH!